In loving memory of our Cara Bug. We lost our beloved little Princess on January 13th, 2019 Due to a tragic accident. Cara would light up up any room she walked into with her amazing smile, and infectious giggle. She could make you laugh just by listening to her own laugh. She loved spending whatever time she could with her family and friends. She loved her shopkins, her My life Dolls, her puppies, her slime, her snapchat and most of all her little brother, and non-biological sister! She always tried her hardest, at everything no matter what she did. When it came to school, she hated being late, but loved having a 2-hour delay. She spent most of her time just being outside, riding snowmobiles, and splitting firewood. When she was stuck in the house, she played video games, games on her tablet, and always wanted to play with makeup or nail polish. Whenever she was in a vehicle, she needed to have the music on, and usually as loud as possible. She was a mother hen to her personal flock of baby dolls, and any younger child she came into contact with. Cara spent alot of time each morning before school on snap chat with her boyfriend trying to figure out what pair of cat ears went best with her outfit that day. 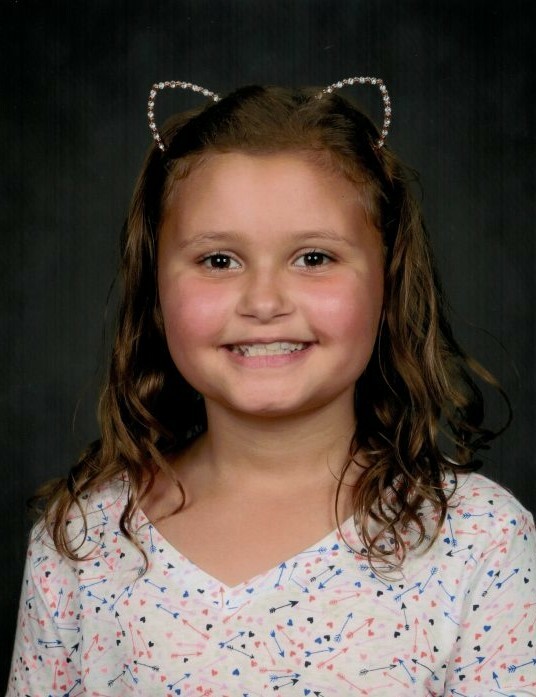 She will be dearly missed and survived by her aunts, uncles, cousins, grandparents, great grandparents, anyone she ever came into contact with, and most of all her parents Karrina Snyder, Dustin Bower, and her brother Spencer Bower. She is now our bright shining purple glittery light in our world of darkness, and She will live in our hearts forever. Calling Hours are Friday January 18th at the Mannsville United Methodist Church from 4pm-8pm. The Funeral Service will be Saturday 11am at the church.